What do you mean by "personal injury"? What sorts of cases does this include? While car accidents account for the majority of personal injury claims, the law firm of The Law Office of A.J. Mitchell, P.L.C. handles nearly all types of injury cases all over Arizona, including Scottsdale, Phoenix, Carefree, Cave Creek, Anthem, Wickenburg, Fountain Hills, Glendale, Peoria, Tempe, Chandler, and claims occurring in Maricopa county, Arizona. You must be able to show that you have been injured and that your injury was caused by another individual's negligence. All injury cases are different. 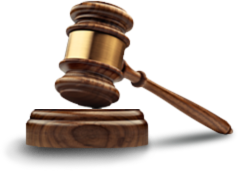 There are many factors that are involved in determining the value of a case. These would include: the severity of your injuries; the length of time of your total and/or partial disability (if any); the amount of your medical bills; whether or not there is permanency of injuries; scarring; broken bones; expected future medical expenses and/or life support costs; wage loss; emotional trauma and loss of consortium. If you are partially liable for the accident/injury, your case will be worth substantially less determining on the percentage of your liability. Our job, however, is to put as much money as possible into your pocket. How much money you receive will depend on the factors listed above. The job of the insurance company of the person who caused the injury is to do everything they can, as soon as they can, to minimize the fault of their insured and to dispute the consequences of a person's injuries. Naturally, it is in the insurance company's best interest to pay you as little as possible. A law firm experienced in personal injury claims can fight the insurance company and maximize the value of your case. Every state has certain time limits, called "statute of limitations" that govern the period during which you must file a personal injury lawsuit. In Arizona, you may have as much two years to file a claim; however, if the suit is against a city, county, or governmental agency, you have a much shorter time to file a Notice of Claim. Time is of the essence. You should contact a lawyer as soon as possible to ensure that your rights are protected. The time it takes to settle a claim depends on many circumstances. It is important to allow injuries to stabilize before beginning settlement negotiations. By settling too early, important consequences of a serious injury may be missed, such as the need for future medical treatment, scarring, or rehab difficulties. When the treating physician issues a final medical report stating the diagnoses of the injuries and their opinion as to the prognosis, the evaluation of the case for settlement can begin. The Law Office of A.J. Mitchell, P.L.C. handles personal injury claims on a contingency fee basis. This means that the attorney fee and expenses are deducted from the settlement or award. No attorney fee is paid unless you win your case.